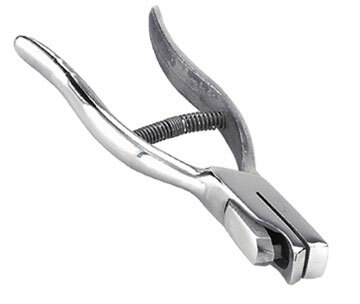 Slot Punches cut clean slot holes and make your laminated and plastic items compatible with a wide variety of Badge Attachments, including: plastic strap clips, retractable badge reels and neck lanyards. 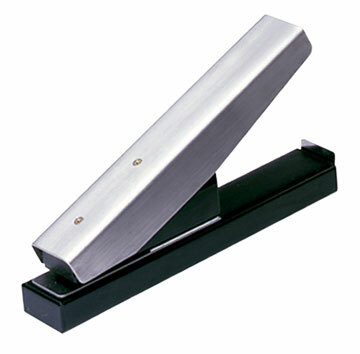 Several slot punch models are available from handheld... to stapler style... to a heavy duty tabletop slot punch unit. 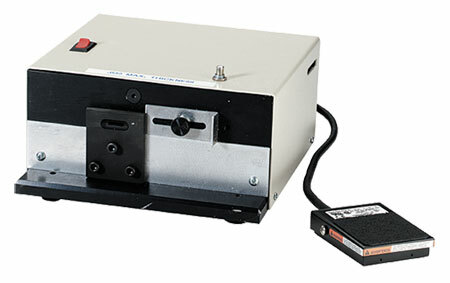 For high volume production we also have a heavy-duty electrical slot punch which is controlled with a foot pedal. 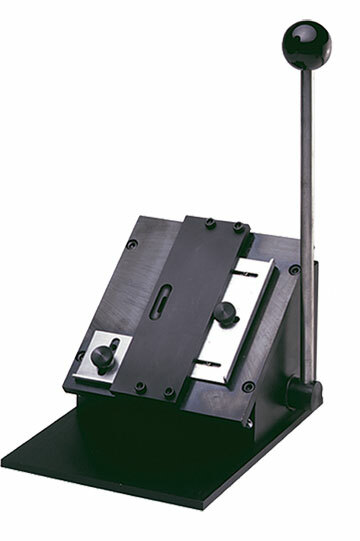 Many badge punch models also have built-in adjustment guides to ensure precise centering of the slot hole. Slot distance from edge of card: 3/16"